5. Above all, it also comes with 4 SAS Hotswap Modules to provide up to 24TB RAW HDD Space on 6TB Configurations. Priced at RM 5998, the ServerWare® SG18D-CT 1U Rackmount Server system is an ease to your budget and power to your server computing. It’s never too early to start doing the things you need for your business. All the tiny moments that lead up to the big celebration is what truly matters, right? (and then, there’s time for less stress and more fun). Capture ServerWare® SG13 1U server, the best offer that comes with this Christmas Wishlist. A true full specification Xeon based Servers that serves most of your business needs at the most affordable manner. A perfect gift for your very own business. 2016 Marks the year 14th year ServerWare® has been the leader Malaysian Technology company in providing Servers and Servers solutions in the country. Officially recognized as the #1 Malaysian Brand Servers we have been taking the leadership position in the numbers of server sell in Malaysia for the last 9 years. 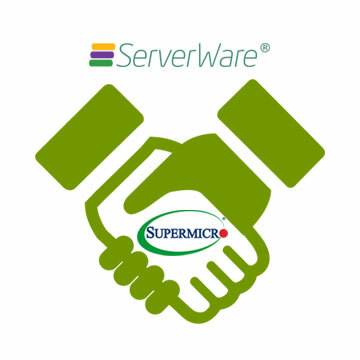 What our customers knows is that our servers are branded as ServerWare® . However ServerWare® does not manufacture any servers at all. What we do is that we choose the best whitebox servers in the world and craft it together to provide the best and largest range of servers there is to offers. Recognizing that no one size fits all requirements, careful selection of the best solutions are choose and put together with our expertise on server integrations. expense, as well as management complexity. The Last 3 weeks has caught everyone in the country by surprise with a variance of 30% percent increase from RM 3.60 to USD 1.00 to RM 4.3+ to USD 1.00. IT budget planned ahead by many companies is distrupted. Vendors all alike are forced to increase price due to the exchange rates changes. ServerWare is no exception. We received many enquiries from our customers on the effect of this change to their business. Hence we are making this effort to help our customer by releasing our Sept 2015 SG13 Promotion by maintaining the same specifications and price accordingly as our July Offers which was tag at pre-increase rates.